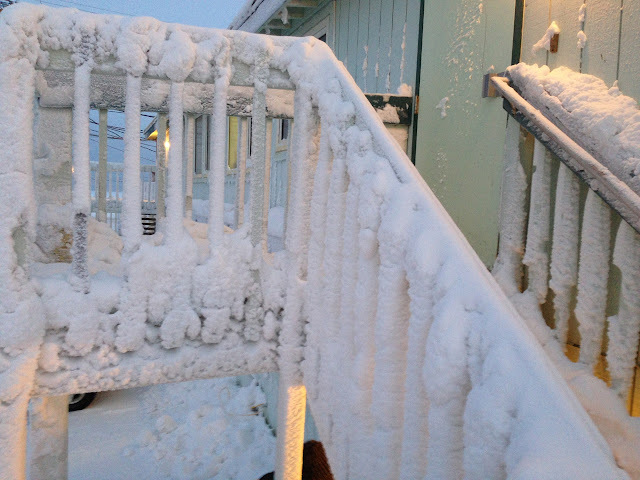 In January, I traveled to Barrow, Alaska for a trip for work. This is the second part of my experience in Barrow. You can read Part I of the post by clicking here. 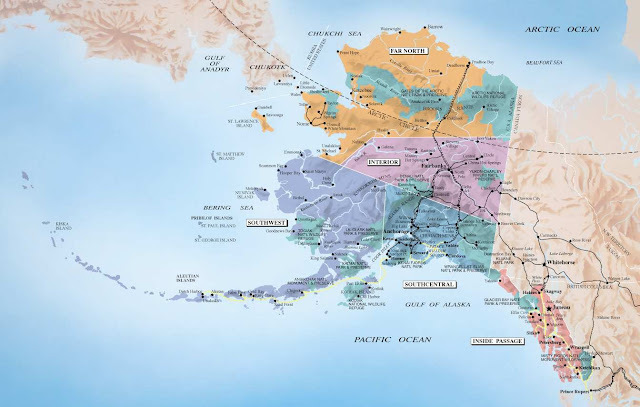 Anchorage to Barrow is 725 air miles, which is roughly the same amount of air miles as from Anchorage to Ketchikan. One of the greatest things about my work is the fact that I get to experience the culture of various parts of Alaska - specifically the Alaska Native culture. 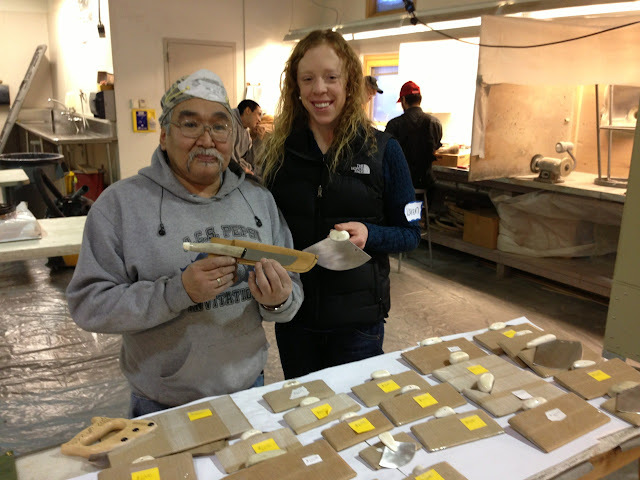 I had the opportunity to learn first handily about the culture of the North Slope region. The Inupiaq People are a hunting and gathering society. They still continue to subsist on the land and sea of northern Alaska and their lives still evolve around the whale, walrus, seal, polar bear, caribou and fish. Although the land and sea of north and northwest Alaska are vast and harsh, the people of this area are not barred by the extreme climates. Rather, the people strive on the natural aspects of the region - the variety of mammals, birds, and fish gathered by the people for survival. The traditional Inupiaq tool kit had a variety of stone, wood, bone and ivory tools made for butchering, tanning, carving, drilling, inscribing, sharpening and flaking. One of these tools, which is still used, is the ulu knife. The ulu was traditionally used by Inupiaq women for everything from skinning a seal to cutting a child's hair. The ulu was made with a caribou antler, muskox horn or walrus ivory handle and slate cutting surface. The handle could also be carved from bone and when available, wood was used. Today the ulu is still often made with a caribou antler but the blade is made of steel. While I was in Barrow, I purchased an ulu from a carver. The handle of this ulu is made with walrus ivory and the cutting surface is made of steel. According to the man from whom I purchased my ulu, the shape of the ulu ensures that the force is centered more over the middle of the blade - making the ulu easier to use when cutting hard objects such as bone. Although I do not plan on cutting bone with my ulu, the curved blade will be advantageous in cutting food. The rocking motion pins down the food being cut, allowing items to be cut with one hand, where a typical steak knife requires a fork to pin down the food. As mentioned in my previous post, working for the Alaska Native Tribal Health Consortium allows me to travel to these places in Alaska where traditional culture is still very much valued. Barrow was no different. Much of the work I did while in Barrow was working with the North Slope Borough Health Department, which just received grant funding from the State of Alaska Tobacco Program to enhance and establish policies in the community to reduce the use of tobacco. According to the 2010 North Slope Borough census, almost 49% of people in the North Slope region (compared to 22% of adults statewide) and 59% of North Slope Inupiats (compared to 43% of Alaska Native People statewide) smoke cigarettes. 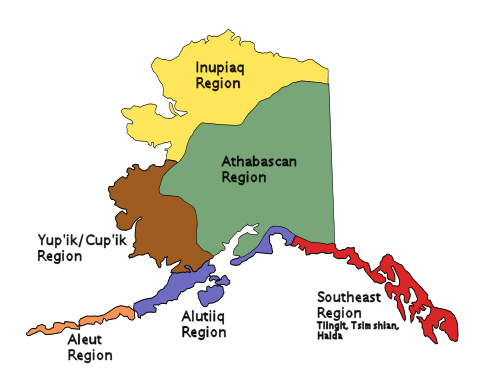 Although smokeless tobacco use is much less common, 2-7% of people in the North Slope use smokeless tobacco, where 5% of Alaskans use smokeless tobacco statewide. According to data from a NSB survey in 2004, 66% of high school students reported smoking cigarettes once or more in the past 30 days and 31% of high school students reported using smokeless tobacco once or more in the past 12 months. The North Slope Borough Health Department serves eight communities in the North Slope region, including Barrow. 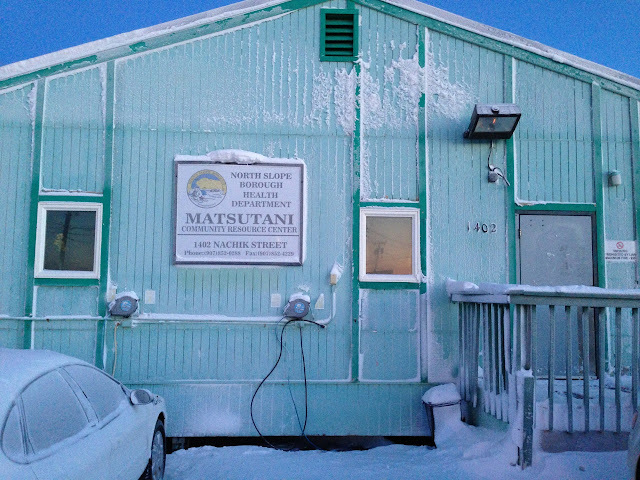 One of the health department buildings is named after Ose Matsutani, who I actually know and goes to my church here in Anchorage. 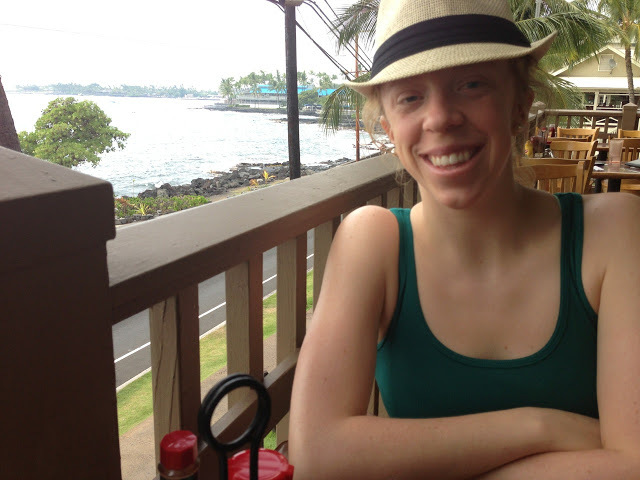 Ose is a child and adolescent psychiatrist who practiced in Barrow before he moved to Anchorage. Upon arriving in Barrow and checking into the hotel, the time was getting late. With temperatures around negative 35 degrees, we were craving a hot plate of food. We headed to Sam & Lee's Restaurant, which is open until 2:00 AM (lucky for us). 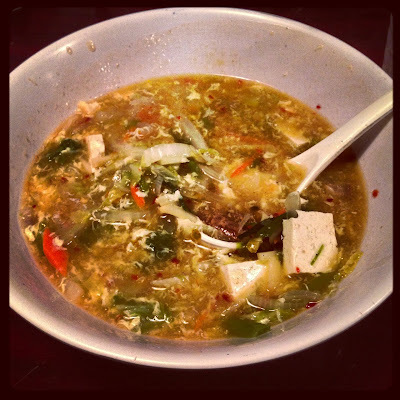 I ordered a delicious bowl of hot and sour soup with tofu. This is a staircase behind the Matsutani Community Resource Center...with a heck of a lot of snow. 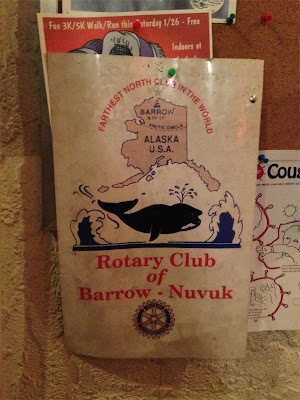 I took this photo for my dad...a flier for the Rotary Club of Barrow - Nuvuk. The "Farthest North Club in the World." 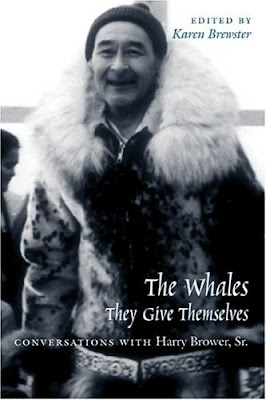 "intimate life history of Harry Brower, Sr. (1924-1992), an Inupiaq whaling captain, artisan, and community leader from Barrow, Alaska. In a life that spanned the profound cultural and economic changes of the twentieth century, Brower's vast knowledge of the natural world made him an essential contributor to the Native and scientific communities of the North. His desire to share his insights with future generations resulted in a series of conversations with friend and oral historian Karen Brewster, who weaves Harry's stories with cultural and historical background into this innovative and collaborative oral biography." I hope you enjoyed this glimpse of the culture of Barrow...and a little bit more about my experience traveling to the farthest north community in North America.